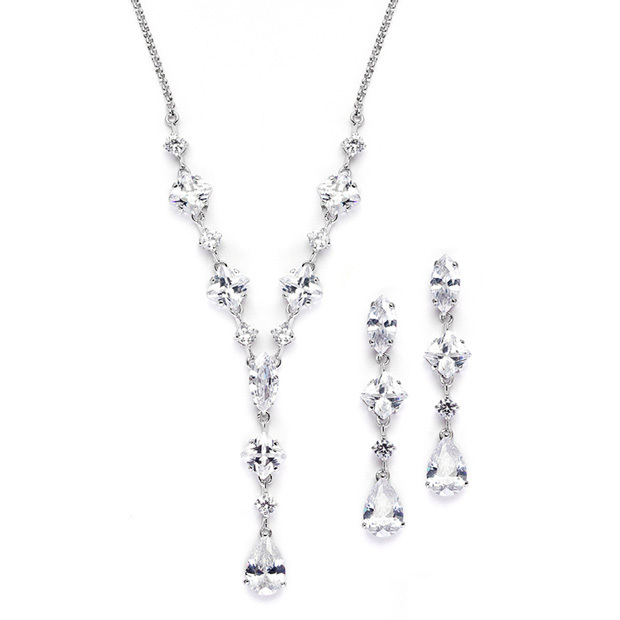 * Mariell's exquisite wholesale Wedding Necklace and Earrings set features a mix of pears, rounds, marquise and princess cut Cubic Zirconia stones. * The glamorous necklace is adjustable 16" - 19" and drops 2" at the center. * The dangle earrings are 2" h.
* This glamorous bridal jewelry design is guaranteed to turn heads at any special event! * For the woman seeking a fresh, contemporary wedding fashion, this set is the one!